Contact Shirley for session rate. 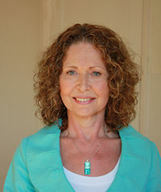 I offer counselling to men, women and couples facing a wide range of personal issues and challenges. I place great value on the relationship between client and counsellor as this, in my experience both as counsellor and client, proves to be the single most important factor in a successful outcome. I offer you a safe, confidential, empathic and non-judgemental environment with space and time to explore your issues, fears and difficulties. Throughout the counselling process the focus will be on working through the issues and difficulties, with the aim of moving towards a more satisfying, fulfilling and contented life. Supervision has been a fundamental part of my learning and development as a therapist. My aim in Supervision is to forma trusting relationship with my Supervisee to support safe and ethical reflection of client work.